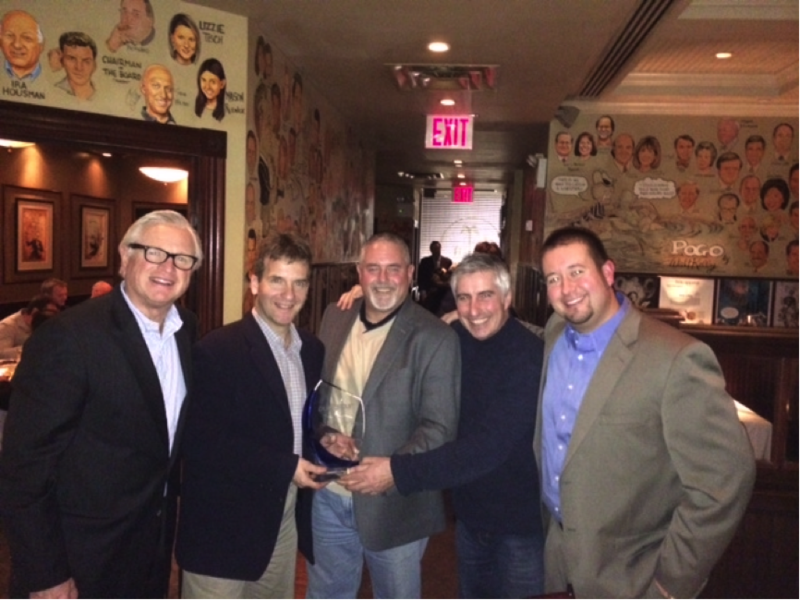 During the AHR Expo in New York City in January 2014, Mr. Cary Pinkalla, president of DuctSox, presented the DuctSox Rep of the Year 2013 award to Enerconcept Technologies. Despite the relatively small size of the Quebec market, through its hard work and commitment to its customers, Enerconcept Technologies has earned this prestigious award twice in the past seven years. Enerconcept has not only met and surpassed the DuctSox target numbers but managed to maintain the company average of growth in new products as well as the base product line. Over the past seven years, Enerconcept has maintained a growth level of 27%. This was achieved by maintaining a high level of customer service throughout the sales process and fostering strong business relationships. Enerconcept has once again proven to be a leader in sales by setting the DuctSox brand on top of the competition.